Basic Invite located in Saint George, Utah is a boutique invitation and printed goods firm founded in 2006. The Basic Invite technology allows for real time design customization with limitless styling options. Basic Invite’s web store features an instant preview feature, complex script fonts, trendy wood invitations and easy to use peel and seal envelopes. 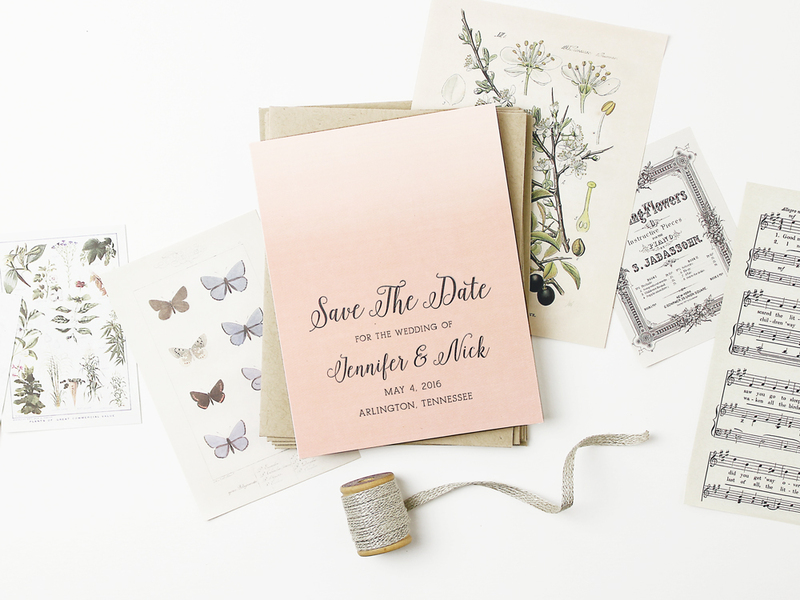 Katie Scott of Basic Invite shares her top tips on choosing an invitation suite and wowing guests from the second they open a couple’s save-the-date. 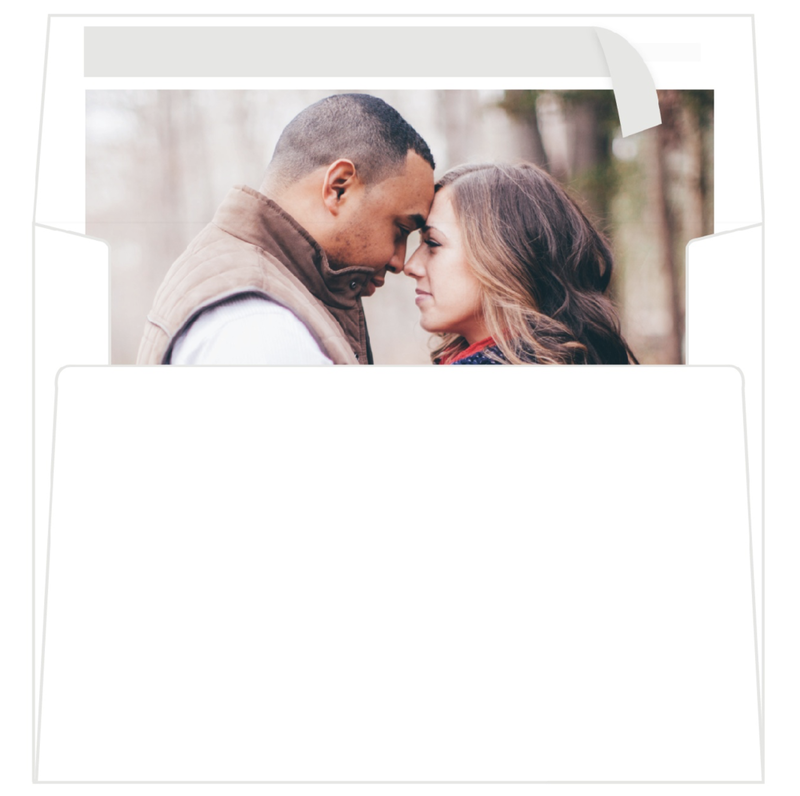 Please describe the process couples typically go through when looking for invitations and printed materials for their wedding on basicinvite.com. When couples come to Basic Invite for their wedding invitations and stationery they usually start by exploring our site and gaining an understanding of what we offer and how our process works. We have hundreds of designs and customization options to choose from so shopping around and testing out different colors and fonts is the best place to start. What trends have been big in 2017 and what trends are you anticipating being a hit in 2018? Watercolor invitations have been the biggest trend for the 2017 wedding season and it seems to be growing in popularity. 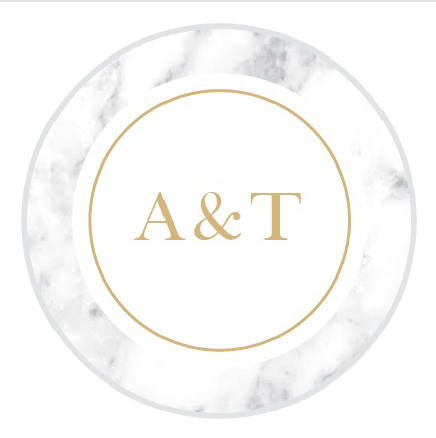 We are starting to see marble and agate designs as well as rose gold foil for 2018. Another big trend is clear and frosted clear wedding invitations printed with bright white ink. Perfect for any season or style! Paper and invitations have expanded into the digital realm in the past few years. Why are printed invitations so important? Printed invitations are much more personal than an evite and they serve as a tangible reminder for guests. What is the recommended timeline for a couple to start looking at wedding printed goods? When should each piece be mailed out to guests and why? The sooner an invitation suite is sent out the better, but nine months prior to the wedding is ideal to start shopping for wedding invitations and ordering samples, particularly if you are planning for a destination wedding or have out of town guests. Save-the-dates should be sent six to eight months out from the wedding date and formal invitations can be sent out six to eight weeks before the wedding. One important step couples often miss is following through with wedding announcements and thank you cards. Both should be sent within two weeks of the wedding weekend, if possible. What should be included in a wedding paper suite? A traditional wedding suite should include a formal invitation and up to five enclosure cards. Enclosure cards may include details on directions, accommodations, reception details, an RSVP card and a list of secondary parties or events. Invitation suites can vary greatly depending on the wedding formality, the size of the wedding, the location and the style of the wedding. Basic Invite’s pocket invitations allow couples the opportunity to beautifully display wedding suite details in an organized fashion. 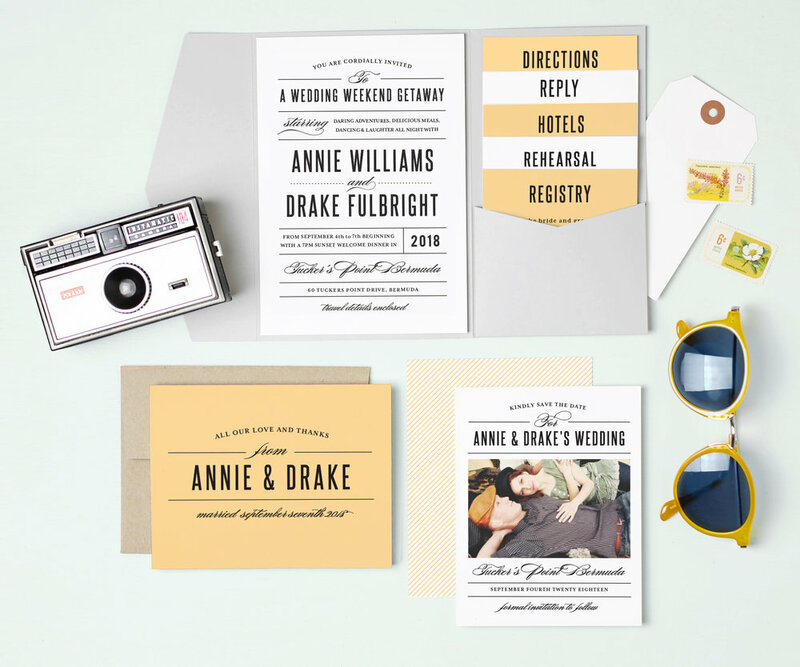 What process should a couple use when selecting the design and overall look for their invitation suite? The possibilities are endless! We encourage our couples to have fun with their invitations and to choose a design that fits their unique style. When working with new clients we typically suggest couples start with their wedding colors, venue and overall theme to begin their search on a wedding invitation suite. A boho bride would be more apt to choose a design like the Blooming Antlers Wood Wedding Invitation whereas a traditional bride may choose a more classic suite like the Elegant Vintage Foil Portrait Wedding Invitations. What common information do couples often forget to include on an invitation? Our customer service team works with all of our clients to proof each invitation and help them with the editing process so that there is a second eye on each printed item. With that said, we do have to remind customers to put the location of the wedding on their save-the-date. A city and state is plenty to include if a couple is still working on contracting a venue. An invitation should contain the couple's names and the names of those hosting the wedding, the venue name, wedding start time, recommended attire and an RSVP deadline. What does the typical editing process look like and what’s the standard amount of time it takes to transition from an invitation concept to receiving a final printed product? From the time a customer clicks "place order" to the time they receive invitations at their door usually takes five to ten business days. Some of our products like the foil designs and real wood invitations take seven to ten business days to arrive because of the longer printing process. We also ship to International clients which takes additional time for shipping. The editing process can vary based on the complexity of a couple's wedding invitation suite and any changes made to the invitation details. Our customer service team works with each client on rounds of edits until the invitation is completed to the client's satisfaction. What other items should a couple consider ordering in addition to save-the-dates, invitations and thank you cards? Wedding day stationery is extremely important! Programs, menus, place cards and a guest book are four pieces of wedding day stationery we recommend ordering. We also offer custom stickers that can be used to add flair to favors and invitations. Postage can be one hidden expense that couples forget to budget for. What are your other tricks of the trade for avoiding invitation snafus? We offer an address book service which includes a link for gathering your guests' mailing details and uploading directly to our site. It is a seamless way to collect mailing address details and properly list guests as they want to be addressed. When shipping out your invitations make sure to ask your local post office to hand cancel invitations to ensure the front of the envelope displays exactly as you want it to appear. Also, weigh your invitation suite when all components are together to make sure you have the correct combination of stamps for the weight of the invitation suite. What is the proper way to address an envelope based on the formality of a wedding? We offer a helpful guide on wedding etiquette for invitation addressing. Stamps are a great way to dress up an invitation. What other ways can you add to an invitation suite to make it stand out? Colored envelopes are an easy way to dress up an envelope. We have 40 different colored envelopes to choose from in order to make your invitations stand out. Another idea is including an envelope liner. We have hundreds of options to customize a liner that compliments a wedding invitation suite. What sets Basic Invite apart from other invitation and paper good suppliers? Almost Unlimited Colors - Basic Invite is one of the few websites that allows customers almost unlimited color options with instant previews online. Once you select a design you can change the color of each element on the card to over 180 different color options so you can make sure the card is exactly how you want it - down to the smallest detail. Custom Samples - Basic Invite is one of the few websites that allows customers the ability to order a printed sample of their actual invitation so they can see exactly how it will print as well as find the ideal paper quality before they ever have to place their final order. Over 200 Wedding Invitation Sets - Each of our wedding invitations is part of a set. You can find everything from save-the-dates to wedding invitations and enclosure cards, wedding menus, wedding programs and matching thank you cards. We cover your wedding paper needs from soup to nuts. Peel and Stick Envelopes - No need to fuss with messy envelope glue or waiting for envelopes to dry. 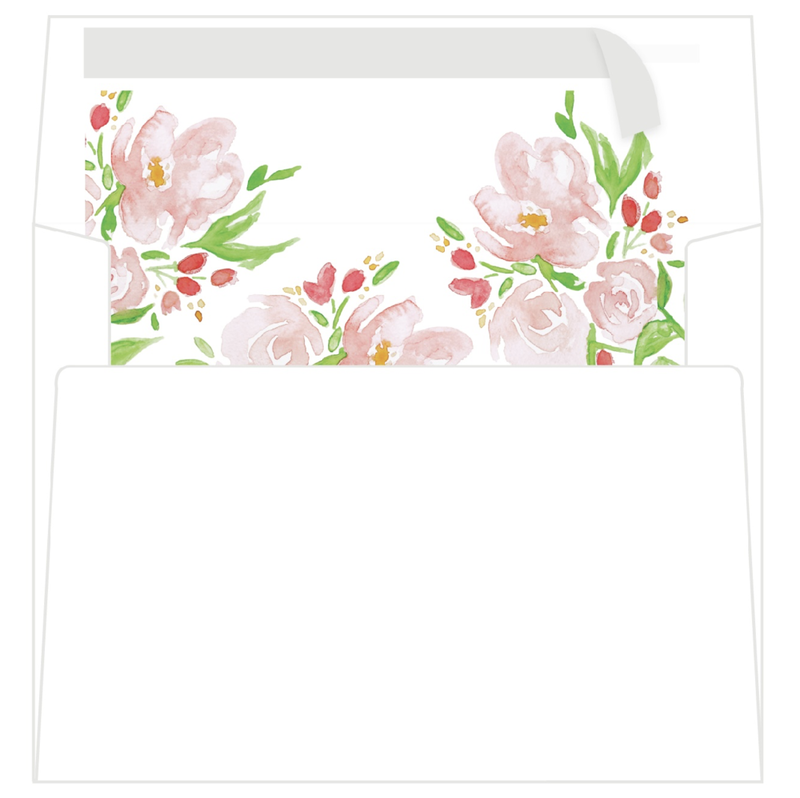 We offer peel and stick envelopes for a quick, clean and easy way to prepare your wedding invitations. Our friends at Basic Invite are offering 15% off items site wide! Use promo code 15FF51 at checkout and tell them Square Mile Events sent you! Visit Basic Invite on Facebook, Pinterest, Instagram and Twitter.